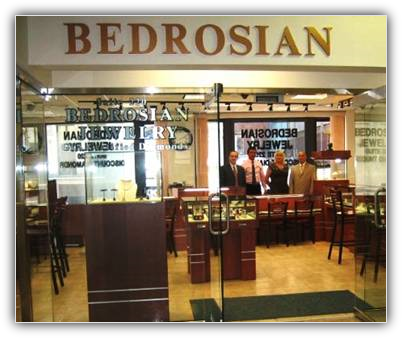 Since 1987, Bedrosian Jewelry has been a family run business. We pride ourselves on our expertise in diamonds, colored stones, and pearls, and our workmanship in gold and platinum. Custom designs are our specialty and we do all work on the premises in our Boston store. Raffi Bedrosian, a GIA graduate, is a graduate in diamond grading, and an expert craftsman in precious metals. Garo Bedrosian, a GIA graduate in colored stones and an expert diamond setter. 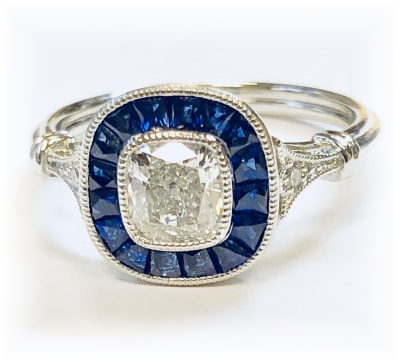 Bedrosian Jewelry offers a wide selection of jewelry and watches, quality service, and an honest value that is unsurpassed. We also offer custom design services, appraisals, and repairs. We have a convenient location in Boston, and we invite you to stop by.